Dukes Home Care Services is a team of home care professionals dedicated to caring for, and working with, people who want to maintain an undiminished quality of life. We are equally sensitive to the needs of family, friends and business and health partners who want to help those in need. Our objective at all times is to ensure our clients’ comfort, security, privacy and dignity; whether at home, in an assisted living environment or health facility. Dukes Home Care Services is a team of home care professionals dedicated to caring for, and working with, people who want to maintain an undiminished quality of life. We are equally sensitive to the needs of family, friends and business and health partners who want to help those in need. Our objective at all times is to ensure our clients’ comfort, security, privacy and dignity; whether at home, in an assisted living environment or health facility. 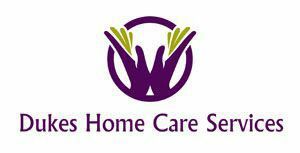 Dukes Home Care Services are available on an hourly or live-in basis. Short-term, long-term and fill-in arrangements are available to accommodate each client’s individual needs. Our caregivers are CPR, AED & First Aid Certified , highly experienced in providing hands-on personal care – both physical and emotional support – under the supervision of our Director. Caregivers perform all job requirements in a manner that exemplifies our core values of honesty, integrity, dependability, organization and spirit. Most importantly, we want to provide each client with a caregiver that will offer supportive and unwavering companionship.